Artist and composer Hanna Tuulikki is inspired by a desire to unearth our relationship with the lore of places and a wish to dissolve the dividing line that has been created between our consciousness and the more-than-human world. Though her practice crosses over a range of visual and sound-based forms, she works primarily with the voice, to create place-specific compositions and performances. Drawings and visual scores extend her work with sound, as a way to illustrate subject-matter, creative process, and, sometimes, elements of narrative. Her best known work to date, Air falbh leis na h-eòin | Away with the Birds, is a multi-disciplinary arts project that has evolved over the past four years. It explores the tradition of mimesis of birds in Gaelic song. 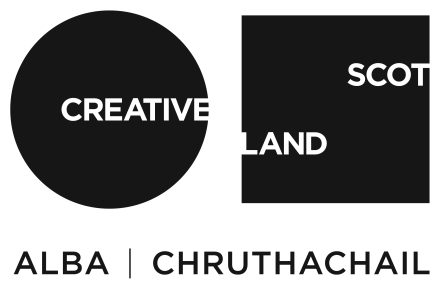 At the heart of the project is a vocal composition Guth an Eòin | Voice of the Bird, written for a female vocal ensemble, reinterpreting archive, fragmenting and then re-weaving extracts of songs into an extended soundscape. In August this year it will be performed in the harbour on the Isle of Canna, as part of the Glasgow 2014 Cultural Programme. Other recent works include spinning-in-stereo, a composition for two voices, presented as a visual score, and vinyl LP for GENERATION at The Travelling Gallery (2014); Guth an Eòin | Voice of the Bird, pen & ink visual score at Cape Farewell’s Sea Change exhibition, Royal Botanic Gardens, Edinburgh, (2013 – 2014) and Between the Late and Early, RSA (2013); sea saw the circle, a composition for string quartet and musical saw commissioned by The Red Note Ensemble (2012); Heliotrope, sound for an installation exploring our relationship with seasonality (2012); High-slack-low-slack-high, a site-specific composition and performance by the river Clyde as part of GI Festival (2012). Recent performances include her vocal composition Guth an Eòin | Voice of the Bird at BBC Symphony Orchestra’s Tectonics festival and during a residency at Glasgow’s Tramway. Her work has been featured on BBC Radio 4’s The Echo Chamber, a series about new poetries, and BBC Radio 3’s The Verb. She lives in Glasgow where she also fronts Glasgow-based bands Two Wings.